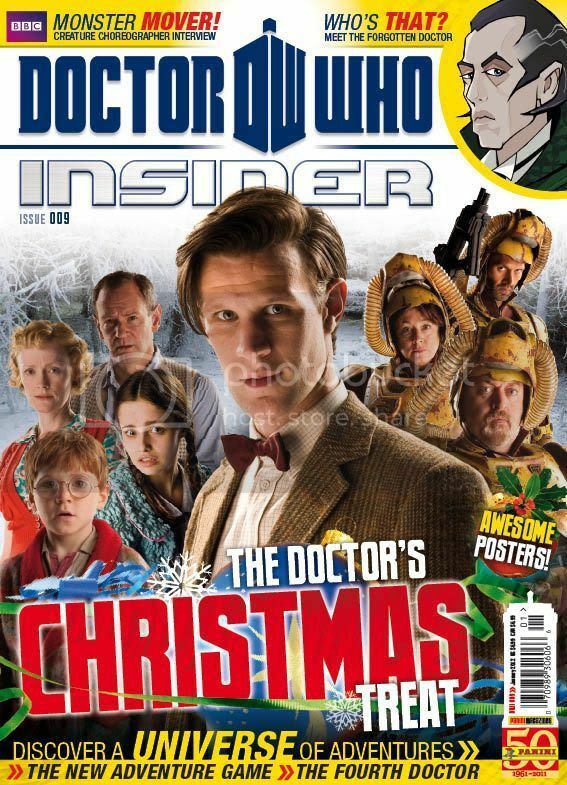 The North American magazine Doctor Who Insider has ceased publication, with Issue 9 being the last to be produced. Kirsty Syson from Panini Email Customer Services said - I am sorry to advise you that Dr Who Insider has ceased publication effective from Issue 9. Please be assured letters are on the way to our subscribers explaining this matter and offering either a refund or transfer to Dr Who magazine. Once again I apologise for any inconvenience and disappointment caused in this matter. The magazine was launched by Panini last year to complement Doctor Who Magazine, focussing on Doctor Who in the USA and Canada in collaboration with BBC Worldwide and BBC America. I can't say I'm surprised Doctor Who Magazine is a far better publication, even though Insider was more readily available I sought out DWM because I prefer it. Doesn't surprise me. The magazine was aimed at a much younger audience the the British one and the audience in the US is much smaller then in the UK. Do we really need two magazine about Doctor Who? I totally agree with globutl. Was not aimed at the right age level here in the States and didn't offer anything that Doctor Who Magazine didn't already provide. Was a waste of money. I'm keeping the first issue as a collector's item. Along with John Kennedy Jr's first issue of George.